It’s Friday night, time to squish up on the comfy sofa and rip open the fancy popcorn. It’s time for a Cuckoo Couples movie! From comedy to horror, cartoon to arthouse, tremendous Cuckoo Couples have been extraordinarily scripted and delightfully portrayed for you enjoyment and pleasure and we would love to introduce you to some of our favourite couplings. Morticia Addams: a strong, confident and intelligent woman with her own unique sense of macabre style. Gomez Addams: a man who eloquently enjoys life with a youthful enthusiasm. This married couple are one of our absolute favourite romantic pairings of all time. Two equal partners in an enviable romance that draws you in with its undying ‘new relationship’ vibe. Morticia and Gomez are both very strong and open-minded individuals that take pleasure in openly expressing their desire for each other. They worry deeply about each other’s mood, revel in nostalgia about past adventures, take the time to look good for each other, and support their partner one hundred present. Their efforts to keep the magic in their relationship alive and thriving see them constantly fascinated with each other at every turn! 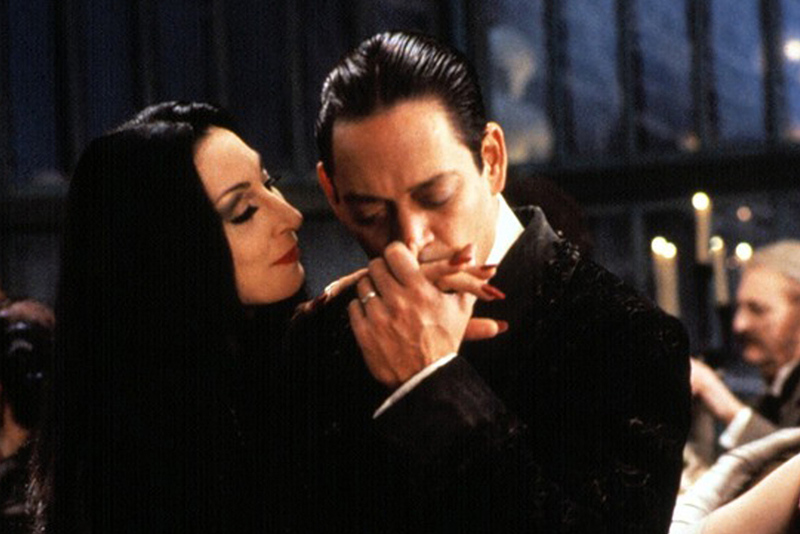 Morticia and Gomez are the perfect couple. They make their love last, and continuously grow stronger by treating every encounter like a first date. They simply bring out the best in each other. We couldn’t find a greater example of a true love couple. Would you like to read about more true love couples in the movies? Of course you would! Click here to find more from our collection.